WASHINGTON — Attorney General Eric Holder will call Monday for major changes in the federal criminal justice system, including doing away with some mandatory minimum sentencing policies that have condemned scores of non-violent offenders to long prison terms and driven up the costs of incarceration. 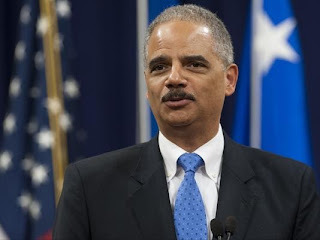 In a speech before the American Bar Association, Holder will also push for early release of seniors and ill inmates who no longer pose a danger to society, yet require expensive special care. The attorney general's position echoes a rapidly evolving shift in law enforcement and penal policy that has been sweeping the states in recent years. Increasingly, officials are acknowledging that they can no longer bear the cost of warehousing thousands of non-violent offenders — mostly for drug crimes — who have been targets of especially harsh punishment starting more than two decades ago when crime was surging. Yet as states, including Arkansas, Kansas, Kentucky and Texas, have reduced their prison populations by referring more offenders to treatment or probation, the federal system has continued to grow and now is at least 40% over capacity with nearly 220,000 inmates, according to the Justice Department. About 25% of the Justice budget goes to fund prison-related operations. Support for such changes has been building for months among civil rights advocates and lawmakers of diverse political stripes. In March, Senate Judiciary Committee Chairman Patrick Leahy, D-Vt., joined with Sen. Rand Paul, R-Ky., on a proposal to allow judges greater sentencing flexibility in some cases that would otherwise be subject to mandatory minimum prison terms. Some of the same views are being advanced by the conservative group, "Right on Crime,'' whose members include former House speaker Newt Gingrich and former Florida governor Jeb Bush. Earlier this year, the Justice Department's own inspector general issued a scathing report about its management of thousands of aging and sick offenders, many of whom died while awaiting decisions on applications for early release because of their serious infirmities. "Housing a continually growing and aging population of federal inmates and detainees is consuming an ever-larger portion of the department's budget," the inspector general's April report said, adding that the burden is "making safe and secure incarceration increasingly difficult to provide and threatening to force significant budgetary and programmatic cuts to other (Justice) components in the near future." "We are on an unsustainable path here," Justice Inspector General Michael Horowitz said. Holder's proposals largely track the inspector general's findings. "We need to ensure that incarceration is used to punish, deter and rehabilitate – not merely to convict, warehouse and forget,'' the attorney general's draft remarks state.